Infused with REJUVENIQETM, reduces hair thinning, boosts strength and vitality. Do you tend to gravitate towards the oldies, but goodies? Do you project the kind of self-assurance that makes others want to know your innermost-hair-secrets? 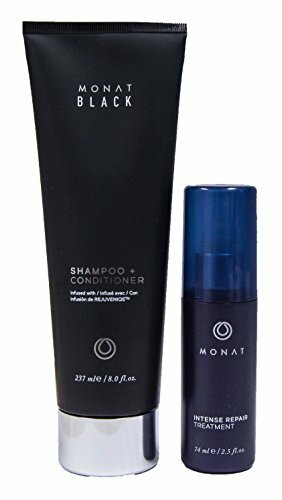 If not, MONAT has a fabulous duo of products that can help you get recognized as the standard authority on extraordinary hair. Increase in repair effect improving hair anchoring. Increase in hair follicle strength. Increase in collagen directly increasing follicle size. If you have any questions about this product by Monat, contact us by completing and submitting the form below. If you are looking for a specif part number, please include it with your message.